From the first note to the last, music should move you. If it doesn’t, then get ready for the AM-777 to rock your world. 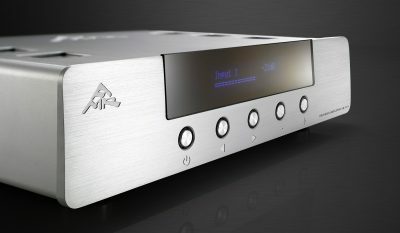 It’s predecessor, the AM-77, was a real game-changer for amplifiers, but the AM-777 goes one step further by producing music that stirs your emotions. Vocals are elevated and instruments are separated to produce first class musicality. into every vocal and instrument, allowing you to enjoy music ‘live’ in your own home. 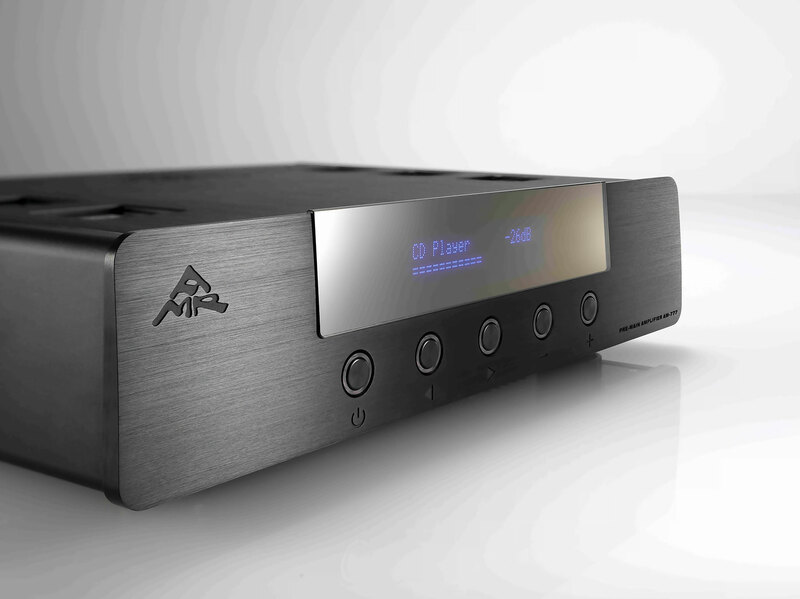 With it’s brushed aluminium chassis, the AM-777 doesn’t only sound high-quality, it looks it too, which means not only will your music sound good, it will also look good. The analogue section of the AM-777 utilises AMR’s OptiValve® analogue stage with zero negative feedback and the 6H1n-EB valve. This is a premium version for long life with improved mechanical construction. 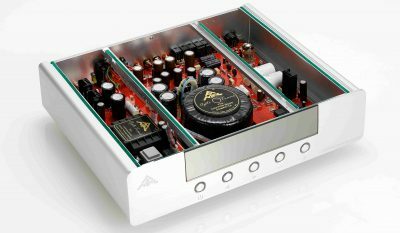 With no operational amplifiers or solid-state devices, this is a major factor behind why the AM-777 sounds so organic and “valve-like” that it can be compared to the finest SET amplifiers. 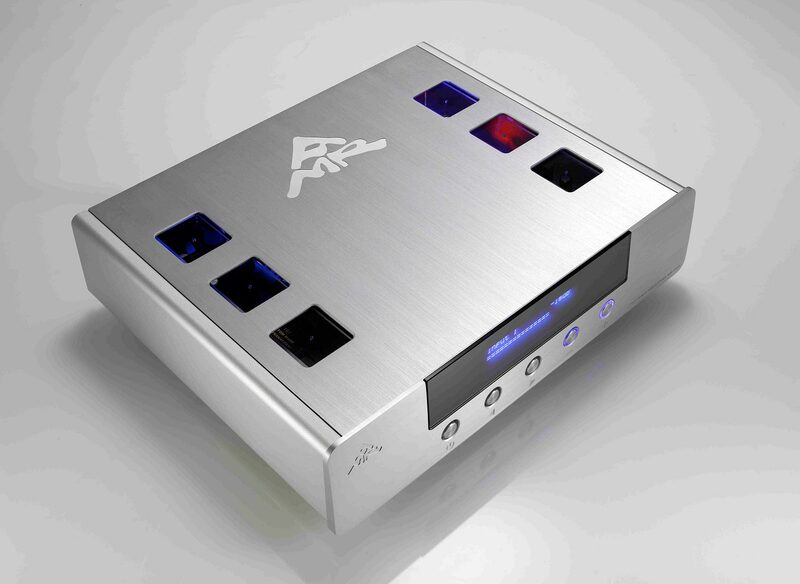 AMR’s design team has developed a USB DAC solution and maximised its potential for digital audio playback. 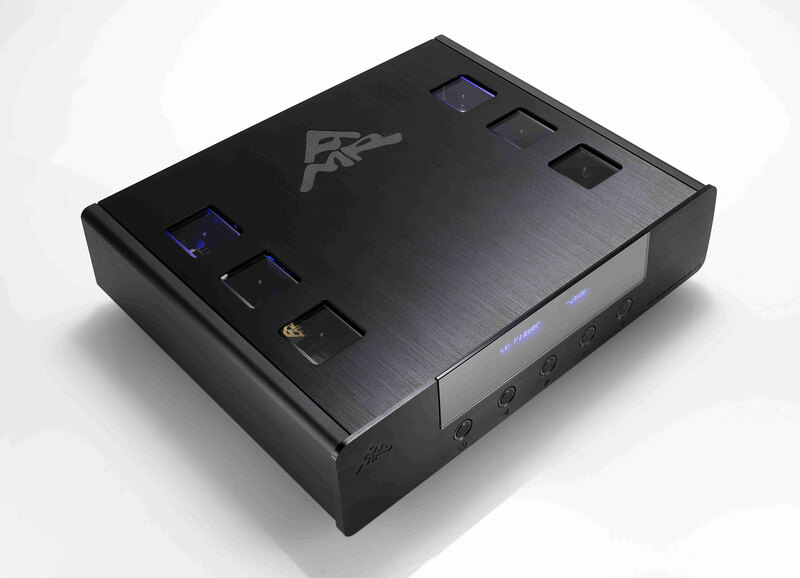 The AM-777 with its dedicated USB DAC, is able to receive a USB signal (via a PC/Mac) and its OptiBus® USB digital transfer solution to enable all music content (including WAV, AAC, WMA, MP3 etc.) 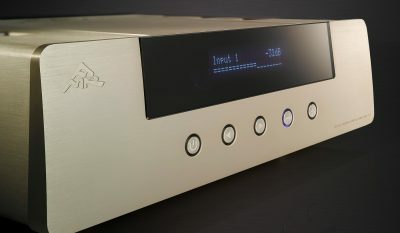 stored on a PC to be played back directly without a conventional digital source, with signal integrity preserved to the highest level. Underpinning the design behind each and every AMR component is the use of premium parts which were chosen after extensive evaluation, lengthy and comprehensive listening tests. 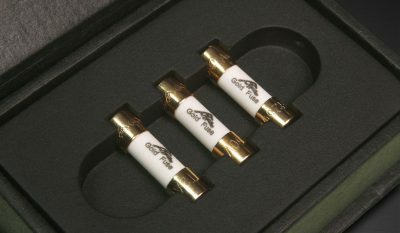 These include silver leaf capacitors, Sanyo Oscon capacitors, precision wire wound resistors, 70um gold plated, military-grade printed circuit boards, German-made premium film capacitors, AMR’s own power supply polypropylene film Music Capacitors, and zero-noise Schottky rectifiers. 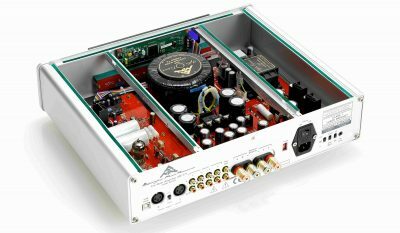 It is worth noting that many amplifiers that cost twice, even three times as much, do not use such dedicated components. Why the use of OptiGain® Fusion Technology for the AM-777? 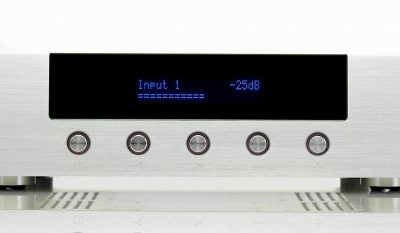 What kind of speakers can be used with the AM-777? 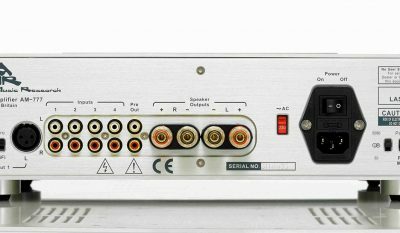 Can AM-777 drive speakers below 4 Ohm or above 8 Ohm? Why is there a USB Digital-to-Analogue Converter in the AM-777? 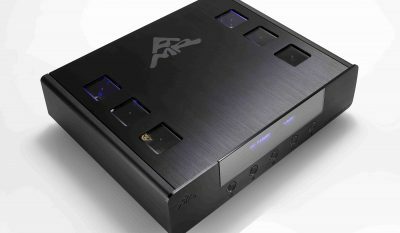 What is special about the implementation of the USB DAC in the AM-777? What is unusual about the AM-777 volume control system? What type of valve is used in the AM-777 and what is the distinctive designation? What type of other valves may be used in the AM-777? 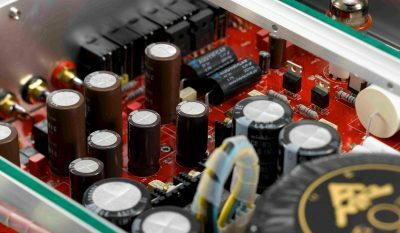 What is different with the design of the AM-777’s power supply? Why are there no heatsinks in the AM-777? Most desirable speakers in the real-world require high levels of power to work well. 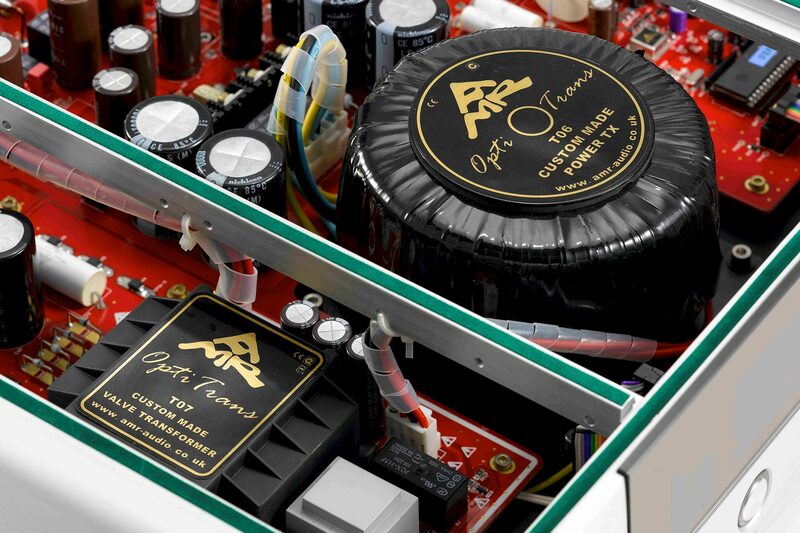 After AMR developed the AM-77 Reference Class Dual-Mono Amplifier based on OptiGain®, an innovative implementation of Fusion Technology, it maintained the same in the AM-777 Compact Class Pre-Main Amplifier. 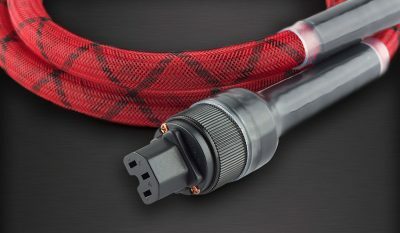 AMR’s OptiGain® is a unique circuit design approach with an ingenious implementation of the valve voltage amplification circuit coupled with a near zero solid-state amplification stage. 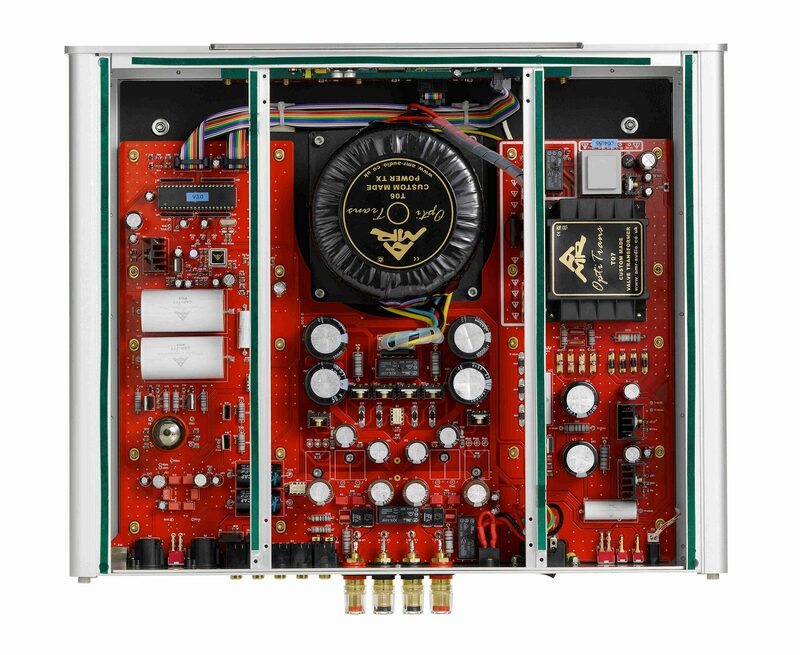 With an extremely low-level of distortion achieved, the AM-777 delivers enough power to comfortably drive modern speakers with the desirable sonic character of a single-ended valve amplifier. 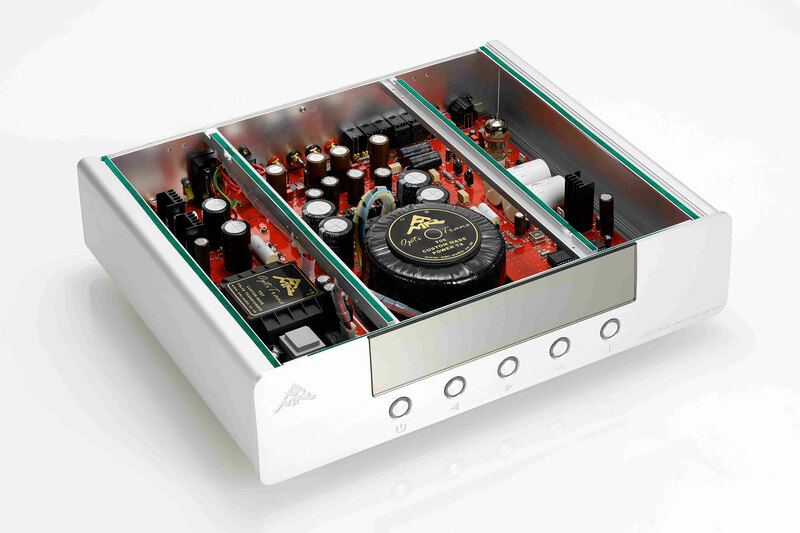 AMR’s AM-777 Compact Class Pre-Main Amplifier can be used with all kinds of dynamic, electrostatic and planar speakers, provided they are efficient enough to provide the desired sound pressure levels in the intended room and are of suitable impedance. In normal-sized modern living rooms, we recommend speakers with a sensitivity of at least 82dB/2.83v/1m. We also recommend that speaker impedance should not drop significantly below 3 Ohm and on average, be at least 4 Ohm. 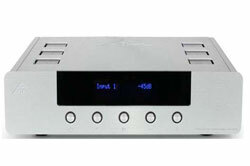 Speakers with higher sensitivity and higher impedances can be used without any problems. 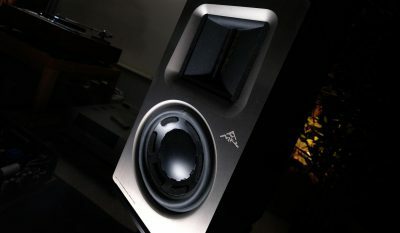 Indeed, as the room size increases, it is desirable to have more efficient speakers. Please note however, that the AM-777’s high power output can, when combined with exceptionally efficient speakers, produce sound pressure levels that may impair hearing. AMR assumes no responsibility for such results. 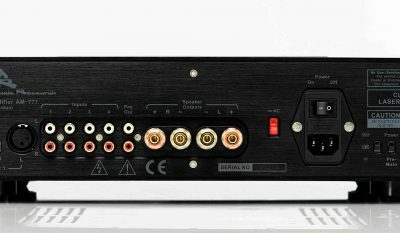 For 4 Ohm or 8 Ohm speakers, please ensure the correct selection has been made at the rear of the AM-777 before using the desired speakers. Yes. 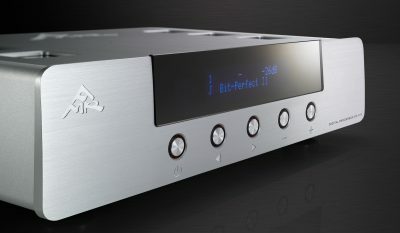 The output power available may be however less than that delivered into the rated impedance. 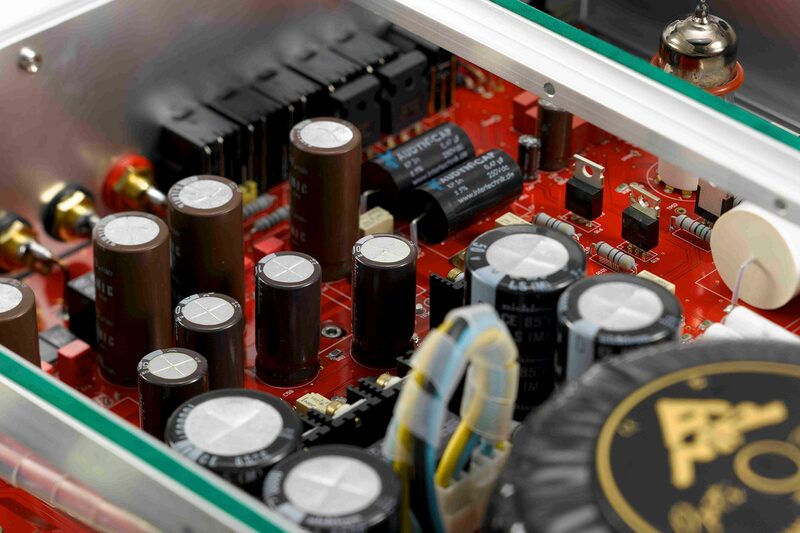 Before use, at the rear of the AM-777, always select the closest rated impedance. We feel that our customers should not be constrained in their use of our products by omitting functionality that can be provided without a loss in sound quality. We equally do not feel it fair our customers pay extra for such functionality in the form of a paid-for option. 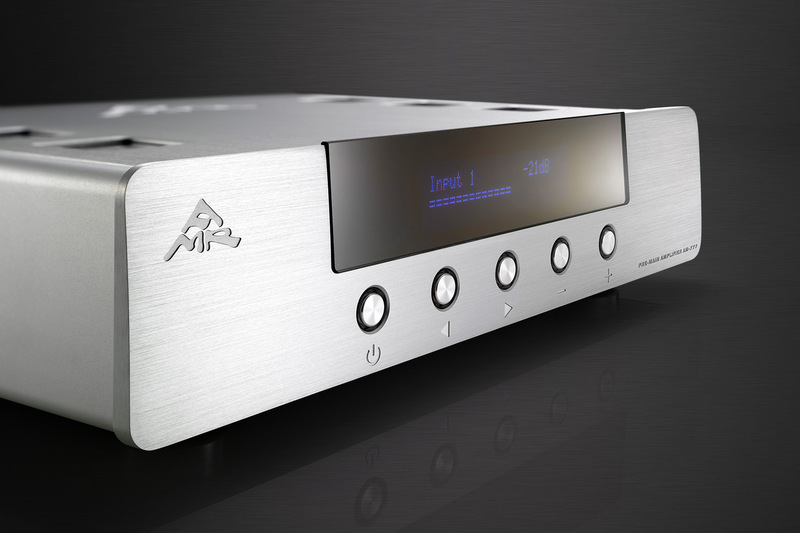 With the AM-777, it offers the same OptiOperation® as its larger sibling, the AM-77. This means that more than one AM-777 may be configured in bi-amplification or monoblock mode to drive even the most demanding of setups. Having received questions asking why there is no volume control in the CD-77, AMR has once more, developed a contrarian solution to those that wish for the shortest signal path for minimal sonic degradation. 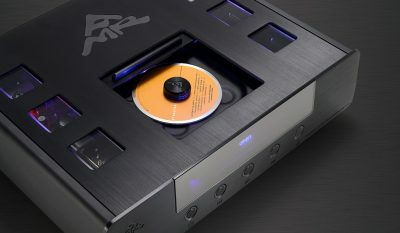 The conventional approach of a CD player with a cheap volume potentiometer makes little sense as all the efforts made to produce the best quality sound is undone by running through a sonically compromised digital/analogue volume control. For those that this solution appeals to, AMR has turned this approach on its head. With the maturing of transport/computer-based audio in recent times, either source may output a high-quality USB signal without a jitter penalty. 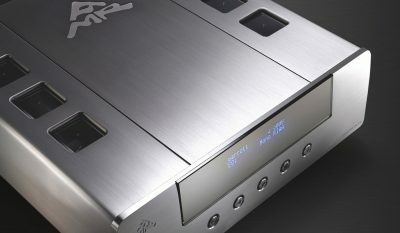 The specialised DAC found inside the AM-777 Pre-Main Amplifier means it is a dedicated digital solution with exemplary amplification and a superior volume control system. The sonic whole surpasses the sum of even these great parts. 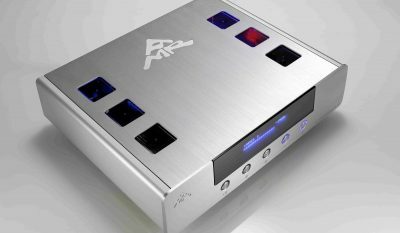 Using one of the latest and advanced USB DAC converters, AMR tested and optimised this chipset to effect the highest quality signal transfer. 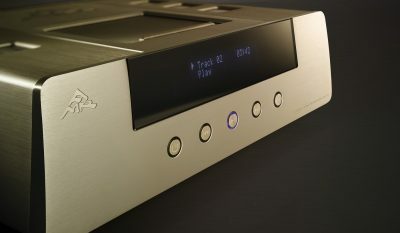 In conjunction with dedicated clocks and ancillary power supply functions, the sonic performance of the standalone AM-777 second only to the CD-777, will put the majority of mainstream CD players to shame. 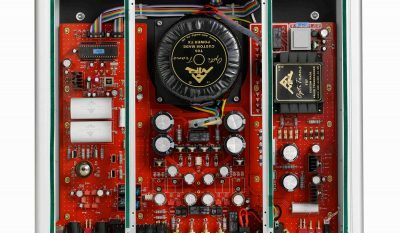 While the AM-777 is a mainstream product, the design and internal components used are far from. 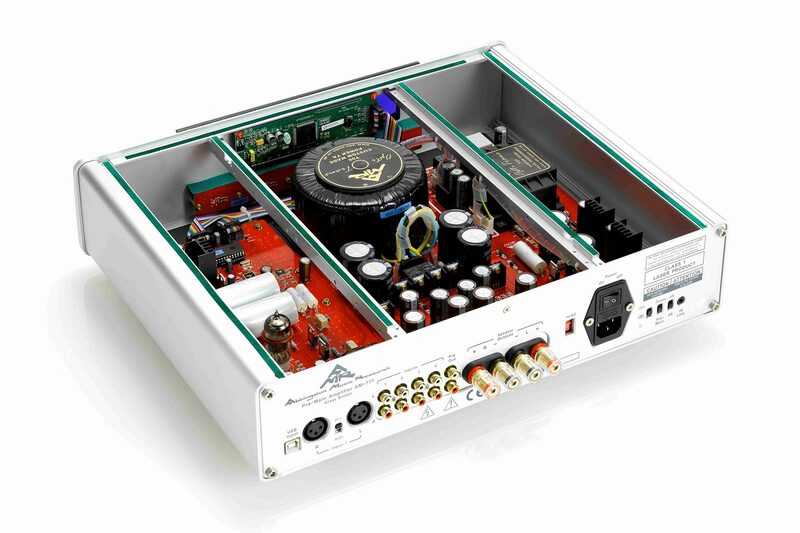 Taking the traditional weak link of the volume control which is typically a potentiometer, with the use of valves and software control, AMR has maintained the principle of the OptiLevel® approach as seen in the AM-77 Reference Class Amplifier. 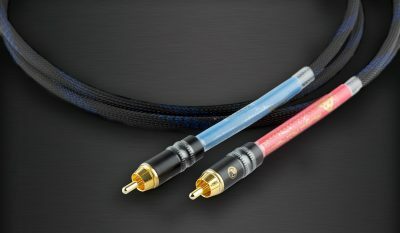 The upshot of this is the sound quality is not degraded in the AM-777 and for those that listen at lower listening levels, they may still enjoy their music as the dynamic range is preserved. Regarding the 6H1n triode, the version used is 6H1n-EV, which means it is the premium version of one of the highest quality, new production valves available on the market today. Behind the “EV” designation, the “E” stands for long- life and the “V” stands for mechanically improved construction. The AM-777 may be fitted with ECC88, E88CC, 7308, Cca, 6DJ8, 6922, 6H23n-EB valves. 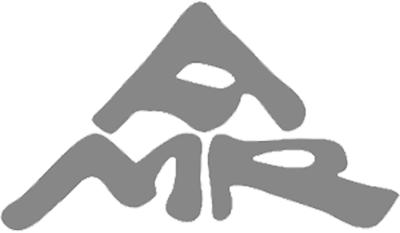 Please consult you AMR distributor/dealer for installation advice/service as opening the cover of your AM-777 will void your warranty. In a word, uncompromising. There are a total of 3 virtual battery power supply sections; 2 Shunt Regulators; 4 Series Regulator and 4 Constant Current Sources. This approach to building a power supply is far more costly but ultimately far more thorough than textbook and compromised approaches. 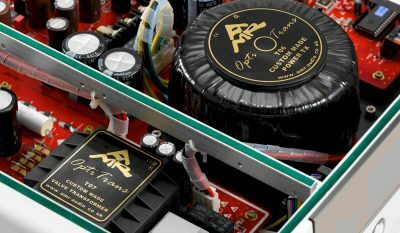 Along with the hand-wound, dedicated transformers, the AM-777 power supply is one to be proud of and puts to shame five-figure amplifiers. The mechanical structure of a heatsink resembles many tuning forks and usually resonates strongly as such. As these resonances invariably find their way into the signal passing through the amplifier, AMR felt it wise to omit them. Instead, AMR has taken great pains to design their chassis so it can effectively reject the excess heat produced by the circuit through radiation and convection, all without adding sonic artefacts. 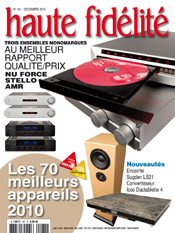 Haute Fideliete’s Dominique Mafrand found the 777 to be “…a truly unique system that makes music in the truest sense of the word ‘delicious'”. Watch this space for the English translation to follow in the coming weeks. Mr Jo Mullers, one of the most well-respected and experienced audio reviewers in the Netherlands fell in love with the CD-777 and AM-777 combination. 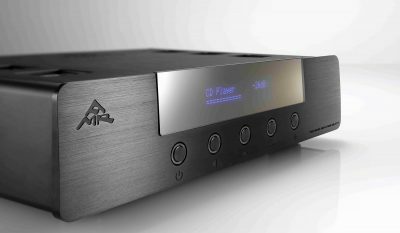 We found this review in ‘Music Emotion’ to be suitably apt given this is the AMR DNA.